The Super Fast Half is one of the fastest half marathon courses in the country! 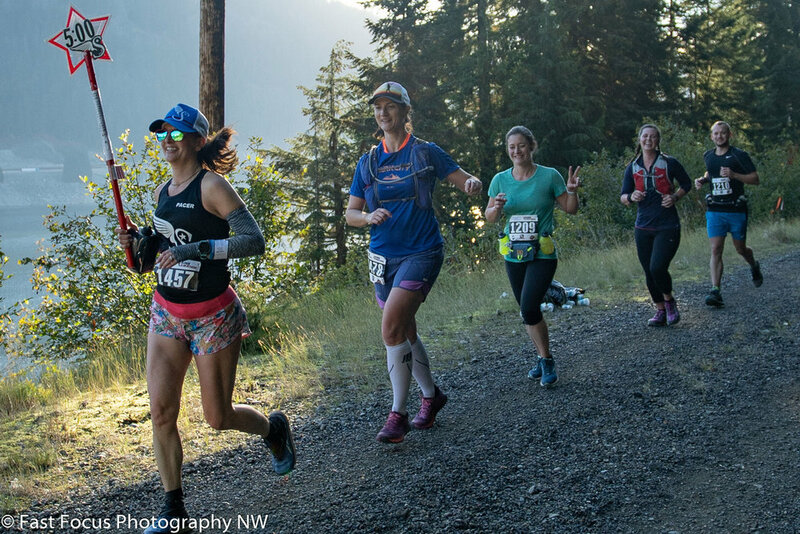 Enjoy 13.1 miles of scenic downhill with gorgeous view of the Cascade Mountains as you glide down the gravel trail on this point to point course. This is the ONLY half marathon course that features a run through the famous 2.4 mile Snoqualmie Tunnel. With 800’ of gradual net downhill, we assure you that you will “find your super fast” on the way to a speedy time or a PR! The race begins at the Hyak Trail Head at Palouse to Cascades State Park. It enters the famous Snoqualmie Tunnel after only half a mile. You will run through the 2.4 mile tunnel emerging into the heart of the Cascade Mountains. From there, you have 800’ of gentle downhill descent as you glide across railroad tressels, past waterfalls and take in the endless mountain vistas! USATF certification number is 17WA002LB. Yes! We have race day packet pick-up and day of registration! No! We do not offer advanced packet pick-up! Free parking near the start line is available at the Summit I-90 Ski Area. It is about a 10 minute walk from the free parking area to the start line. Parking is available at the Hyak Trailhead for a $10 day use fee or free for Washington Discover Pass holders. Runners will be bused back to the start line parking areas from the finish line. Buses will run every 20-30 minutes starting around 9:30 AM. Please note the bus pick-up location is about 1.2 miles from the finish line. Don’t worry about the walk though! It’s all downhill and will serve as a nice shakeout to stretch the legs! Fabric Cascade Super Series drop bags are provided to all runners! Your bib will include a tag for your bag. Drop your belongings at the start line and we will transport them down to the finish where they will be anxiously awaiting the arrival of their owner. The important stuff - swag! We want our runners to only have the best, so we make sure we give you more swag than you can carry (actually we give you a fabric drop bag so you can carry it all)! All runners receive a custom tech tee, a custom race medal, a fabric Cascade Super Series Drop Bag, a Cascade Super Series Water Bottle (filled with ice cold water) and complimentary downloadable race day photos. Yep, you get all that. You can thank us later! The Super Pacers are on hand to take the pressure off your watch! Join our 1:45, 1:50, 2:00, 2:10, 2:20 or 2:30 pace groups and have a good time running your best time! The half marathon will have 5 aid stations. All aid stations will have water and Gu electrolyte drink. Aid stations 3 & 5 will have Gu gels in assorted flavors (both caffeinated and non-caffeinated). Bathrooms: There are two public bathroom facilities on the course. The first is located at Mile 2.7 just after the exit to the tunnel on the right side of the trail. The second is located around Mile 8.5 on the left side of the trail. Porta Potties will be available at both the start and finish areas. Pierce County SAR 4x4 will be monitoring the trail on their ATVs to assist runners with any injuries or issues. Medics will be on-site at the finish line. The half marathon will be chip timed. Runners have 4 hours to complete the race. Official timing concludes at 12:00 PM. We do not offer an early start option. What’s that feeling you say? Salivation and a pang in the stomach? Yep, you are just dreaming of our FAMOUS finish line grilled cheese sandwich! Sunshine Productions will be on-site at the finish line grilling up fresh hot grilled cheese (with gluten free and vegan options available) and snacks to satiation the remaining hunger in your soul! And how about those sore post-race muscles? Don’t worry about that either! Elite Massage Professionals is on hand to massage away that post race tightness. With a grilled cheese in your stomach, freshly massaged muscles and the satisfaction of completing 13.1 miles, you’ll leave our races feeling pretty darn super. Cost for massage is $1/min! Add it to your registration or bring cash, check or credit card to the race! Since our course is somewhat remote and epically beautiful, there are few locations where spectators can easily access the trail to watch their runner. For the half marathon, the only point reasonably accessible is the finish line. It’s best to wave goodbye to your runner at the start as they journey into the depths of the tunnel and scoot down to the finish line where you can get a front row seat to watch their epic finish! 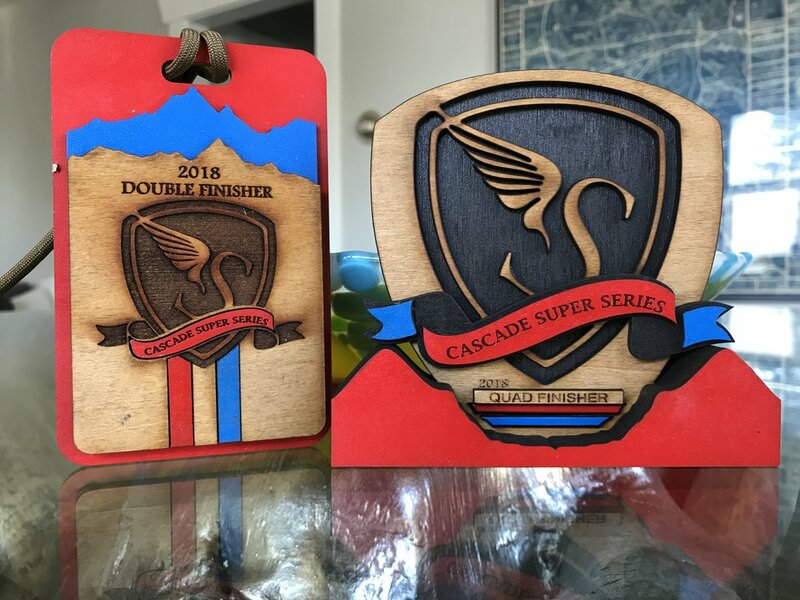 All registrations to Cascade Super Series Races are final. We do not offer refunds or deferral of race entries under any circumstances.